Moisturising fluid after shave lotion scented with top notes of bergamot, blackcurrant and pineapple. Earn up to 24 Reward Points for this item. Saponificio Varesino’s 100% vegetable* after shave lotions sit somewhere between a traditional after shave splash and an after shave balm. 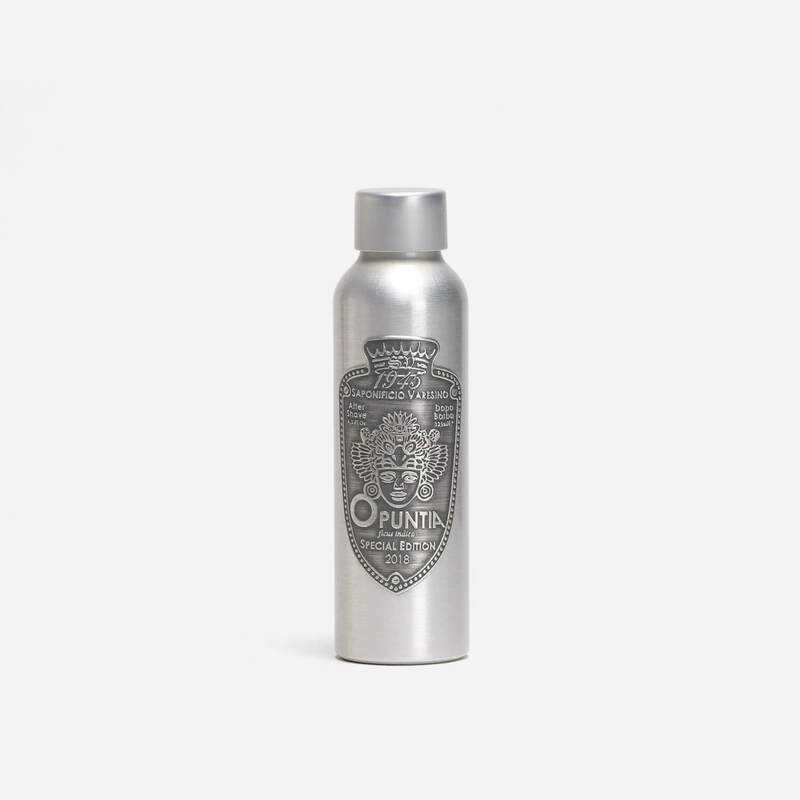 The lotion is very light, so it’s quickly absorbed into the skin and doesn’t leave an oily residue, but it is sufficiently moisturising to leave the skin hydrated post shave. The Opuntia after shave lotion contains Opuntia Ficus-Indica (Prickly Pear Extract), which is beneficial to the skin due to its moisturising properties. After Shave Scent: top notes of bergamot, blackcurrant and pineapple, with base notes of white moss, oak moss, patchouli and vetiver.